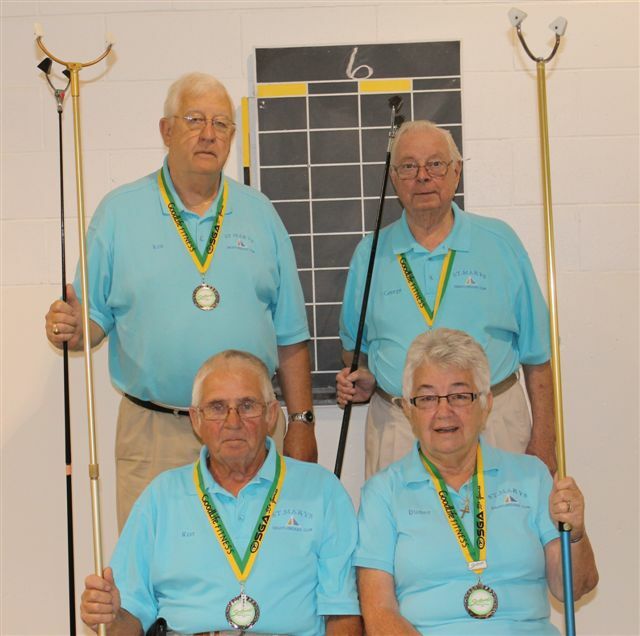 *In the front row – Ron and Dianne Carradine (St.Marys) winners, 2nd place Silver medals. * In the back row – Ron Ferguson and George Holroyd (St.Marys) winners, the 1st place Gold medals. * In third place (not shown) were (??) ” 2 gentlemen ” from Windsor area won the Bronze. ps/ – *** You will probably get the word “officially” from Thedford.